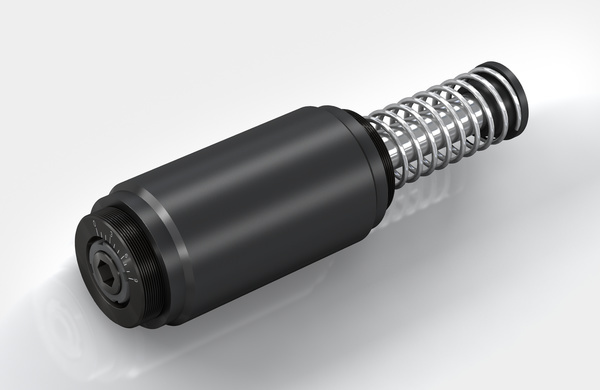 The heavy industrial shock absorbers from ACE round off the top of the company''s offers in damping technology. Designers also have the choice between self-compensating and adjustable machine elements in this category from ACE. Whichever design is chosen, this type of shock absorber impresses with its robustness and operational readiness wherever heavy loads need reliably stopped on-the-spot at a precise point. The CA4 models can absorb up to 126,500 Nm of energy. The series of heavy duty, self-compensating CA types are equally suitable for use as an emergency stop as the adjustable types with the designations A1½ to A3. The range of effective loads covered is increased considerably for this purpose. CA2 to CA4 Powerful: The mass of these high volume absorbers are between 12. A1 1/2 to A3 Strong and adjustable: Also in ACE's range of units ares heavy duty industrial shock absorbers, which can be adjusted.